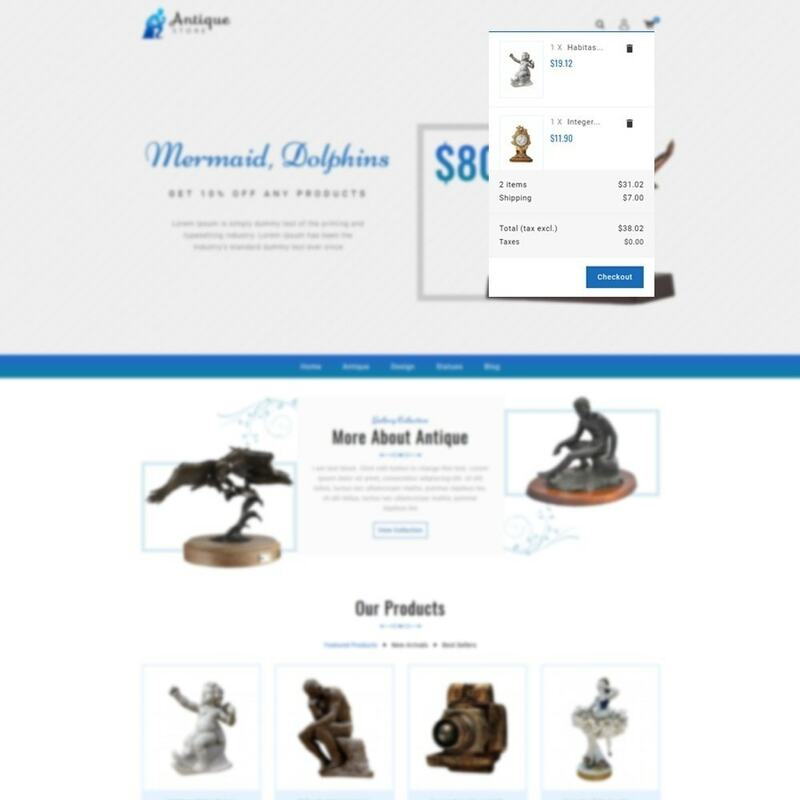 Want to sell unique items and collectibles online? 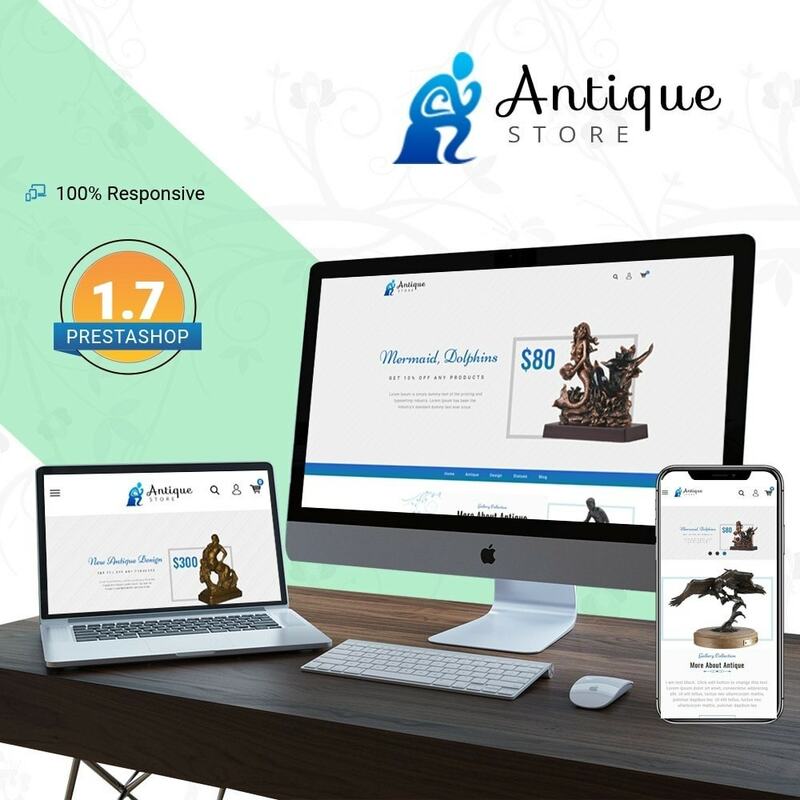 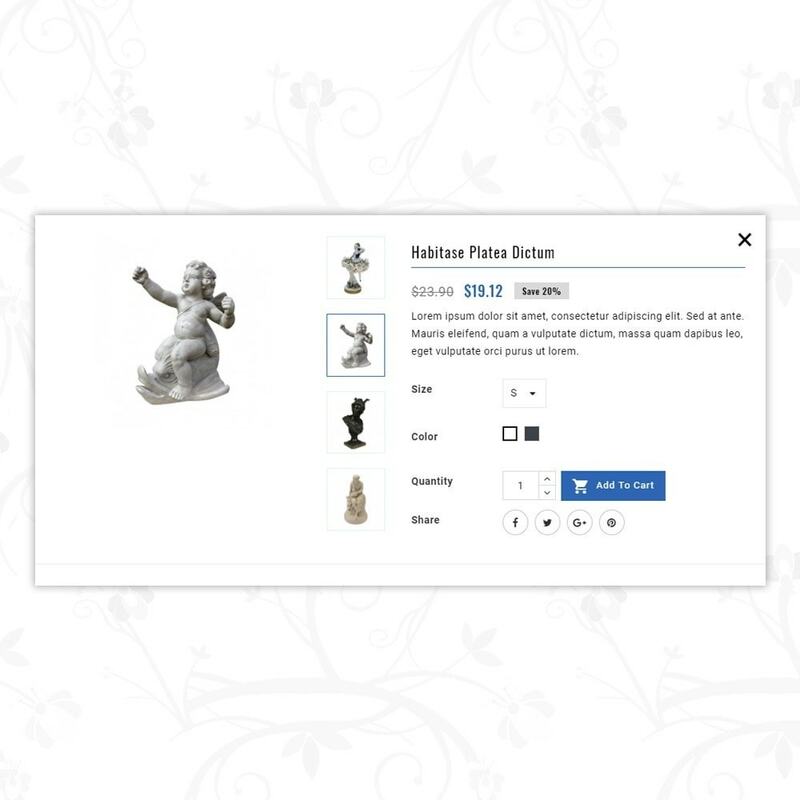 Antique Store is the best eCommerce website template for you. 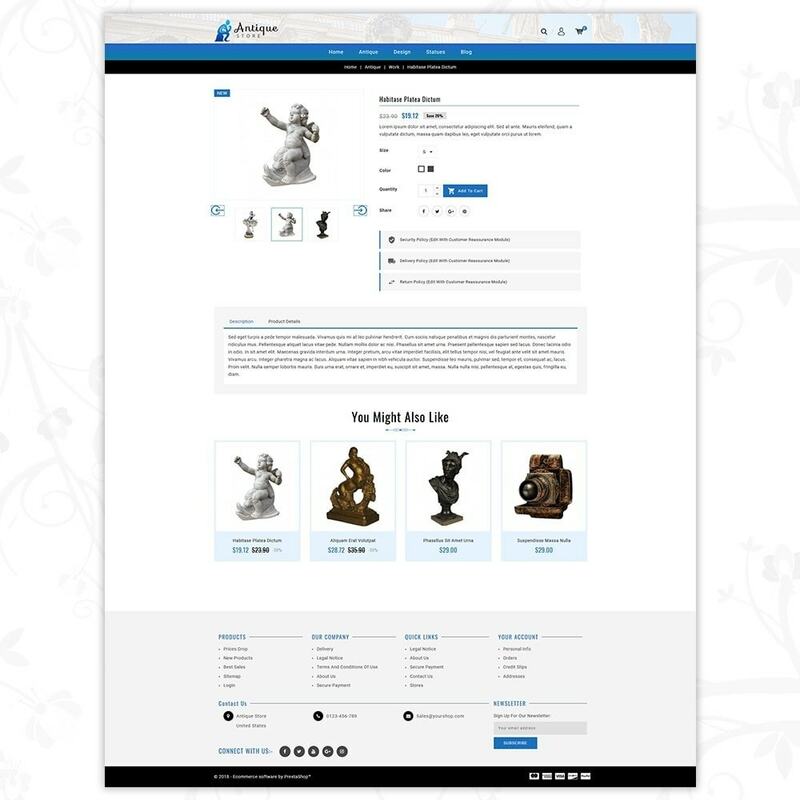 With this antique/classic theme and aesthetic design, you can stand out amongst the others. 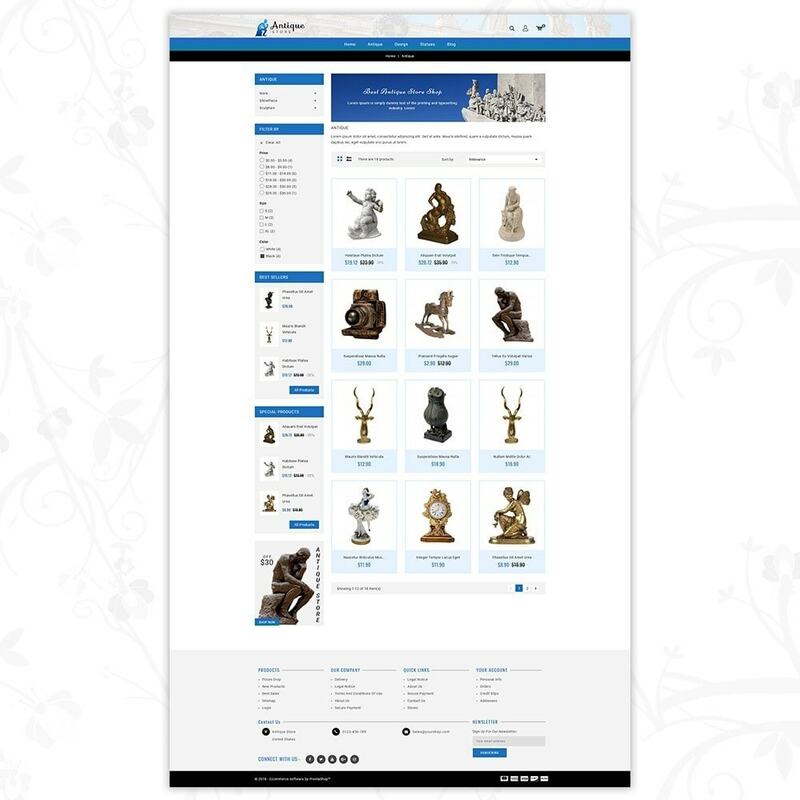 This store can be used to sell anything from furniture to unique or antique collectibles. 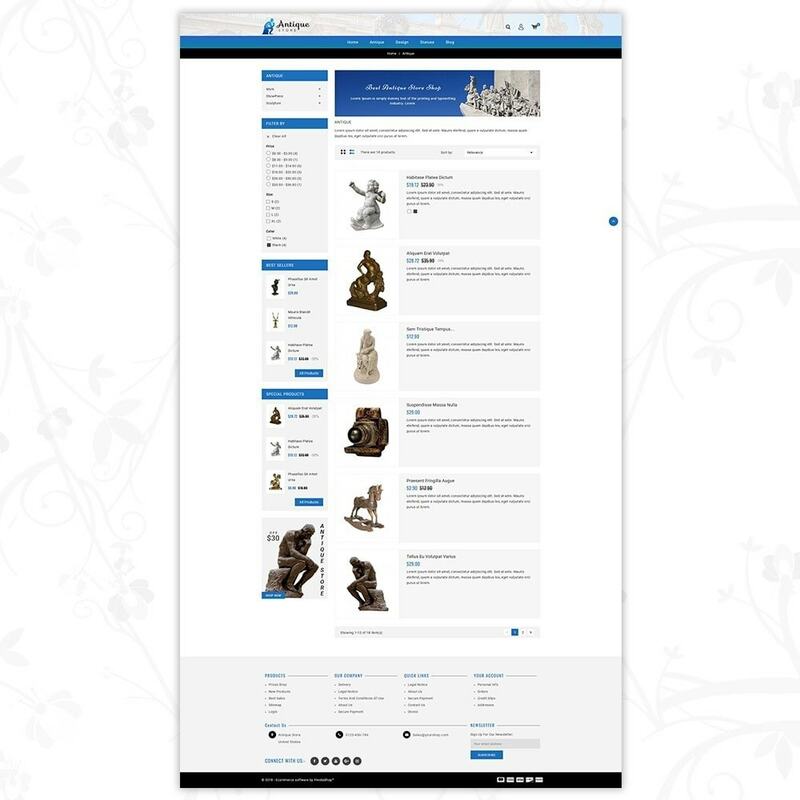 It can be used to sell wooden art, handicraft goods, sculptures, home decor items, paintings and so on. 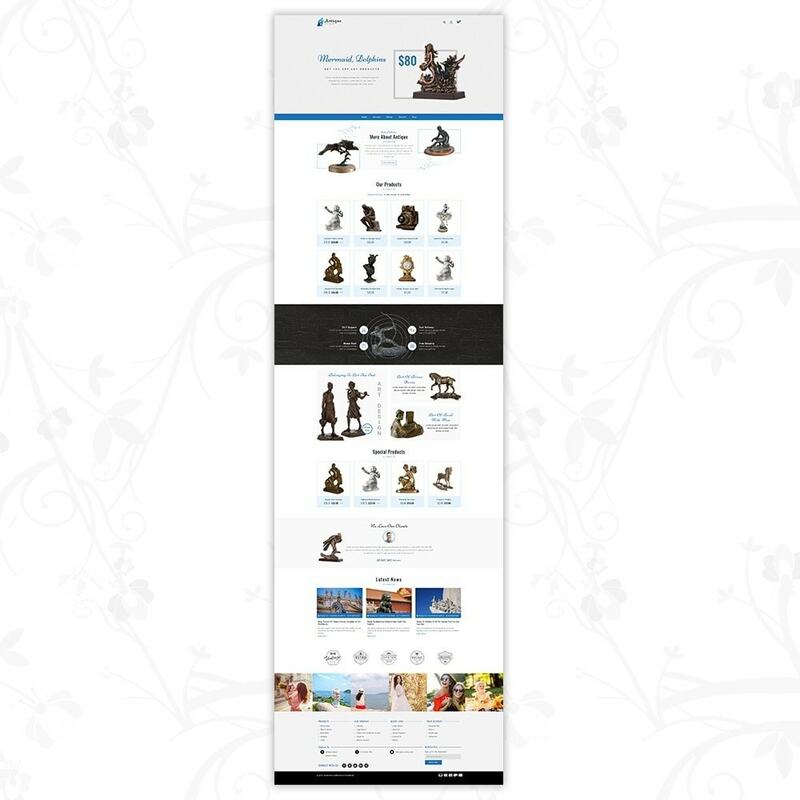 This theme has a classic aesthetic design with 100% mobile responsive pages, fast load time, search engine optimization (SEO) and is great for viewing in any display resolution. 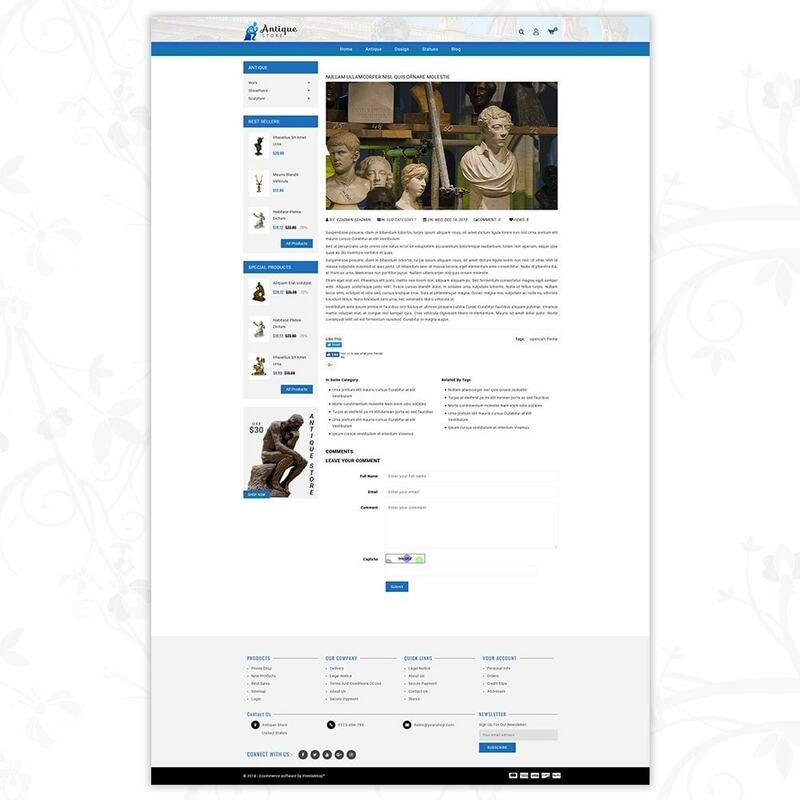 Users can directly upload and activate theme using back-office i.e By uploading theme package file, simultaneously users can also activate theme by uploading theme package using FTP server.